Some content categories seem to be driven by the rise and fall of popular trends more than others, and beauty is no exception. Over the course of a given year, you'll have the opportunity to read thousands of pieces of original content dedicated to the best and most worthy overall beauty trends for a given season or year or updates on specific new trends that emerge based on a cultural events like Coachella or Fashion Week. As part of the POPSUGAR Insights study "Beauty Evolved: How Millennial Women Shop for Beauty and Personal Care," we asked women to tell us if they actively follow popular beauty trends and if beauty trends had ever influenced the beauty products that they've purchased. 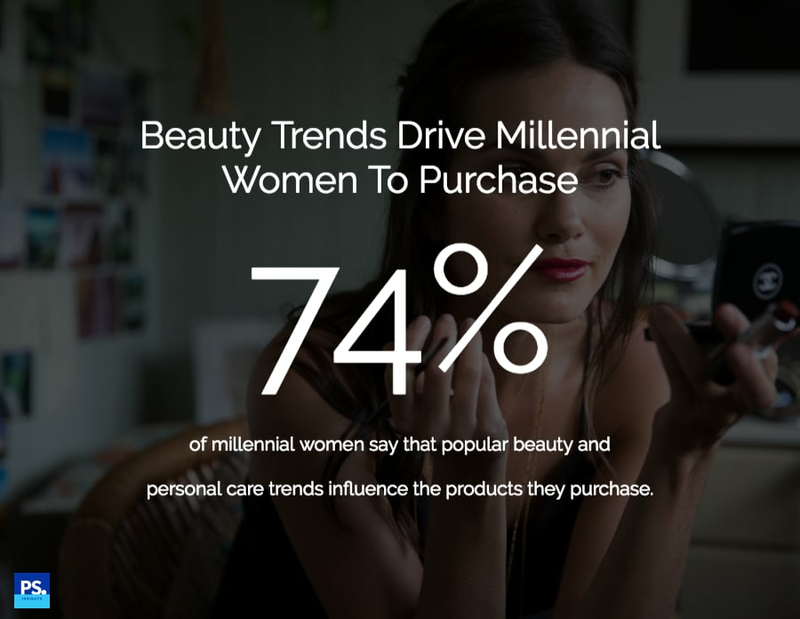 Overall, we found that 74% of millennial women say that popular trends in beauty and personal care have influenced the products that they've purchased. Millennial women are 17% more likely to have made a beauty or personal care purchase based on a popular trend than women aged 35 to 49. In terms of the specific events that have a positive impact on beauty sales, 28% of women said that fashion events, especially NY Fashion Week, drive them to buy beauty products, 26% of millennial women said seasonal trends drive purchases, and 22% said that trends based on award season events, especially the Academy Awards, drive them to shop and purchase beauty and personal care products. One particular topic that has risen in popularity over the past year is street style. One in five millennial women say that street style has had a positive impact on the beauty products they purchase, and millennial women are 33% more likely than women aged 35 to 49 to be influenced by street style trends. For marketers, aligning with the right beauty and personal care trends via branded content can be a positive way to engage readers and inspire them to purchase products. From individual moments like street style to seasonal trends or cultural events, millennial women have shown that they are positively influenced by trends and inspired to move from consideration to product purchase when it comes to beauty and personal care products.